Provo -- For the past two years the sports scenery at Brigham Young High School here from the opening of doors in September to spring commencement nine months later hasn't seemed to change much. And the one permanent fixture around which the show seems to have rotated -- whether it was football, basketball, track, baseball or tennis -- is a lean, gold-thatched lad. The pin wheel has been Harold Christensen, a 165-pound, 6 ft. 2 in. star-studded athlete. His high school sports career is drawing to a close this spring, but in his three years at B.Y. High, he has become the first from that institution -- and one of the few in the history of Utah sports -- to letter in five sports. In his junior and senior years, he has quarterbacked the blue-clad Wildcats through the only two notable grid seasons enjoyed by the school since it joined the eleven-man football ranks in 1944. The marks, however, he made on Utah maples have been his most scintillating. The past two seasons he paced mates to consecutive Class B basketball championships. Such a feat is next to impossible in the rugged competition offered now by the many B schools of the state and the acid-test, 16-game tournament. The spring sports slates have been his busiest. This year, at last, he is the first-line hurler on the Wildcat baseball team. His array of curves and fast balls has come to be respected on many high school diamonds in Utah. In addition, he stars in tennis and track. The cinder sport at B.Y. High is generally a rather barren proposition, but "Big Chris" manages to represent his school in broad jump and pole vault. The past two years he has been among the 10 top-seeded prep court aces of Utah. He was a member of the great Wildcat net crews of 1947 and 1948 that swept state laurels. Those are the five sports which he lettered. They are all that are offered for competition at the school. Had there been others he undoubtedly would have seen action in them. When Harold and the superb gang of athletes who have worked with him -- such greats as Jae Ballif, Norman Christiansen, Don McIntosh and others -- step with graduation diplomas from the aging walls of B.Y. High in May, the end of the school's one great sports era to date will be marked. It is sometimes said that Alma Richards of the BYH Class of 1913 was BYH's greatest athlete. The historical record makes an overwhelming case for sharing that highest honor with Harold Christensen, Class of 1949. Harold was on the staff of the Y'ld Cat student newspaper, and participated in Opera and Chorus. He was a member of the Thespian Club. He participated in student government, and was elected Student Body Vice President. But he is best known for his stellar athletic skills, lettering in Football, Baseball, Tennis, Track, and Basketball. He was a leader on two Class B State Championship Basketball teams in 1948 and 1949. He graduated with his class on May 26, 1949. Christensen became a star ambassador for BY High School. He was selected as one of 24 top high school basketball players in the nation and played in the 1949 High School All-Star Game in Kentucky. He was named a high school basketball All-American. Harold graduated from BYU in 1954 with a degree in Mathematics, and served as an officer in the U.S. Air Force until 1958. In 1956 he was a member of the All-Tournament Team in the Strategic Air Command Tournament. In 1960 he earned a BS in Civil Engineering from the University of Utah and then launched a successful 40-year career as a consulting structural engineer in Salt Lake City. 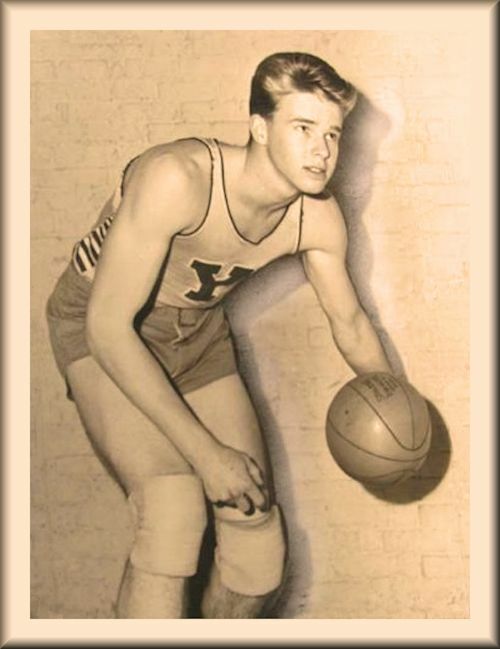 While attending BYU, Harold Christensen was a starter for BYU, and played in the 1951 National Invitational Tournament held in Madison Square Garden in New York City. 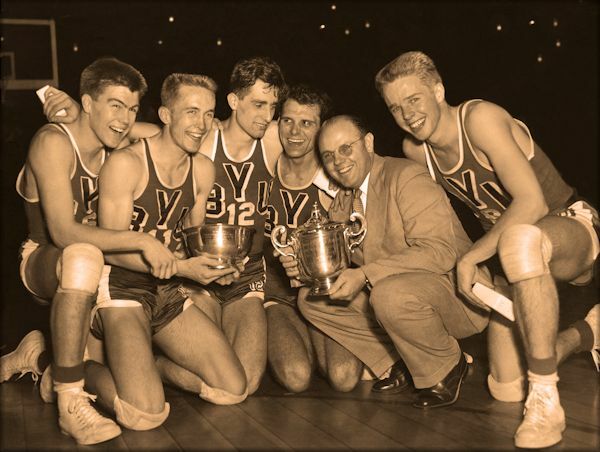 This 1951 BYU team, sometimes known as the "team without a home" because they practiced in various high school gymnasiums and played home games at the University of Utah, won national acclaim for earning the NIT championship. This success led to quickened construction of the Joseph Fielding Smith Fieldhouse, a showplace for BYU basketball for many decades. 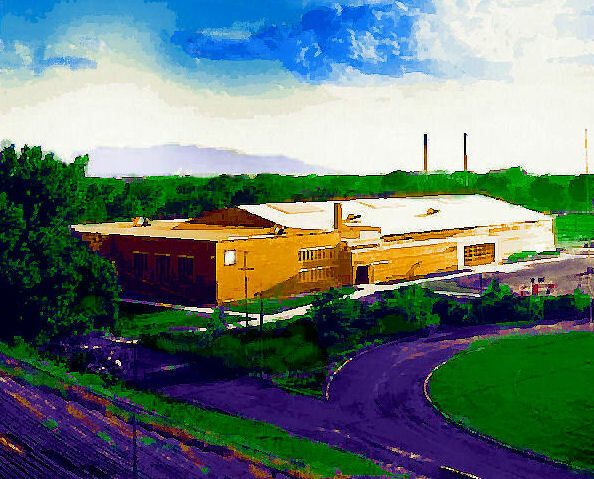 The new Joseph Fielding Smith Fieldhouse also became the home court for all of the following BYH Wildcat basketball teams. Harold wore the number 8 on the BYU basketball team. He was 6'2", weighed 175, and played as a guard. He earned all-conference honors in 1952 and 1953 and played in the 1953 East-West All-Star Game in Kansas City. He also played in the 1951 NCAA Regional Tournament, the 1951 Sugar Bowl Tournament, the 1952 Dixie Classic and the 1953 NIT Tournament. In 1953 he received the J. Edwin Stein Award as the outstanding student athlete at BYU. In 1954 he was named Most Valuable Player in the Southwestern Invitation Tournament held in Las Vegas, and was drafted by the Minneapolis Lakers. In 1977 he was elected to the Cougar Club Hall of Fame. From 1981 to 1984 Harold Christensen served as mission president of the California Fresno LDS Mission. As of March 2012, Harold and his wife Joanne have seven children, 28 grandchildren and 17 great-grandchildren. Three of the couple's sons � Craig, Kurt and Todd � also played basketball at BYU. 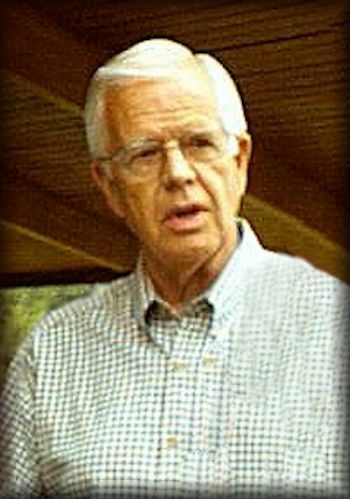 Harold P. Christensen [BYH Class of 1949] (Joanne), of Salt Lake City, the subject of this webpage. Harold Parley "Chris" Christensen, beloved husband, father, grandfather and great-grandfather, passed away peacefully on March 27, 2012, following a valiant fight with cancer. Born April 16, 1931 in Provo, Utah, to Parley Alma and Ruth Jones Christensen, he grew up the son of an English professor and long-time chairman of BYU's English department from whom he gained a love for books - and for sports. 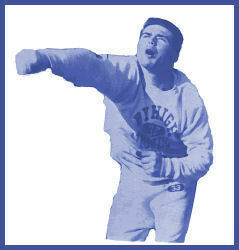 A graduate of BY High in 1949, Harold was a star athlete in tennis, football, baseball, track and field, and basketball. He was selected as one of 24 top high school basketball players in the nation and played in the 1949 High School All-Star Game in Kentucky. He later attended BYU where he graduated with a degree in mathematics and was the starting point guard on BYU's 1951 National Invitational Tournament Championship team. He was drafted by the Minneapolis Lakers in the 1954 NBA draft and in 1977 he was inducted into the BYU Athletics Hall of Fame. While at BYU, he met his sweetheart of 58 years, Joanne Stringham. They were married in the Salt Lake LDS temple in 1953 and together they created a loving, safe and secure home for their seven children. After graduation from BYU, he served as an officer in the U.S. Air Force, which would later provide the backdrop for dramatic bed-time stories about KC-97 and B-52 refueling missions. Following his military service he returned to Utah to complete a civil engineering degree at the University of Utah and begin his career as a consulting structural engineer in Salt Lake City for more than 40 years. Over the years his lifelong interest in sports and his ability to reach young men combined in many successful little league coaching ventures that produced successful high school, college and professional athletes, none of whom left his tutelage without learning well that winning always includes good sportsmanship. A faithful member of the Church of Jesus Christ of Latter-day Saints, he served in numerous callings, including as a member of the Melchizedek Priesthood General Board, a counselor in the Salt Lake Foothill Stake presidency, and a worker in the Salt Lake temple. 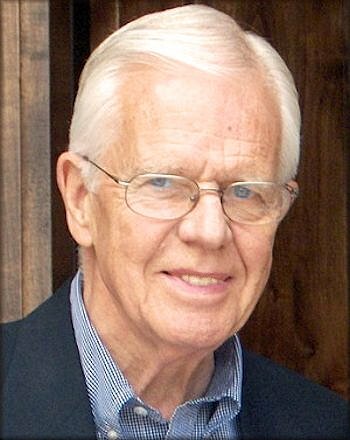 From 1981-1984, Harold Christensen presided over the California Fresno Mission and is beloved to this day by the hundreds of former missionaries who served with him. His service is remembered for his conviction that God answers the earnest prayer and that every individual is a child of God deserving of love and acceptance. His unconditional loving-kindness for all was his hallmark virtue and will remain his greatest legacy. Harold is survived by his wife, Joanne, and their seven children: Lesli Christensen(Bruce) Collett; Craig (Shawna) Christensen; Kim Christensen(Joel) Nance; Cindy Christensen (Steve) Harline; Kyle (Alyse)Christensen; Kurt (Heather) Christensen, Todd (Lyndsay)Christensen, 28 grandchildren and 17 great-grandchildren. Starting five for the 1950-1951 National Invitational Champions include Joe Richey, left, Roland Minson, Jerry Romney, Mel Hutchins and Harold Christensen, right. Holding the trophy is legendary BYU Basketball Coach, Stan Watts. Photo was taken in Madison Square Garden.